Voters could decide next year whether medical marijuana will be legal in Wyoming. 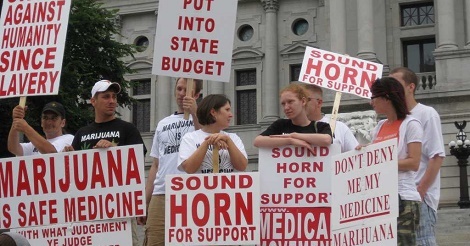 Activists have filed paperwork with the state which, if approved, would let them begin a signature-gathering campaign to get an initiative on the 2016 general election ballot to legalize medical marijuana. The Wyoming chapter of the National Organization for the Reform of Marijuana Laws is sponsoring the citizen-led effort. The group submitted its initiative application to the secretary of state's office on Monday, which was also 4/20 - the unofficial national holiday for marijuana enthusiasts and supporters. The 13-page application is essentially the group's proposal in the form of a legislative bill. If the application meets the state's requirements, it would let the organizers begin gathering the 25,673 valid signatures that will need to be collected by Feb. 8. "This is a big step for us," said Chris Christian, a Jackson resident who is Wyoming NORML's executive director. "We wanted to have as simple language as possible. "But what this means is that certified doctors will be able to prescribe marijuana to a patient who has a condition that can be helped through the use of cannabis," Christian said. Christian said her group has struggled in the past to write up its application since it did not have much legal know-how. But the Denver law firm Hoban & Feola LLC, which specializes in marijuana laws, recently volunteered to help. 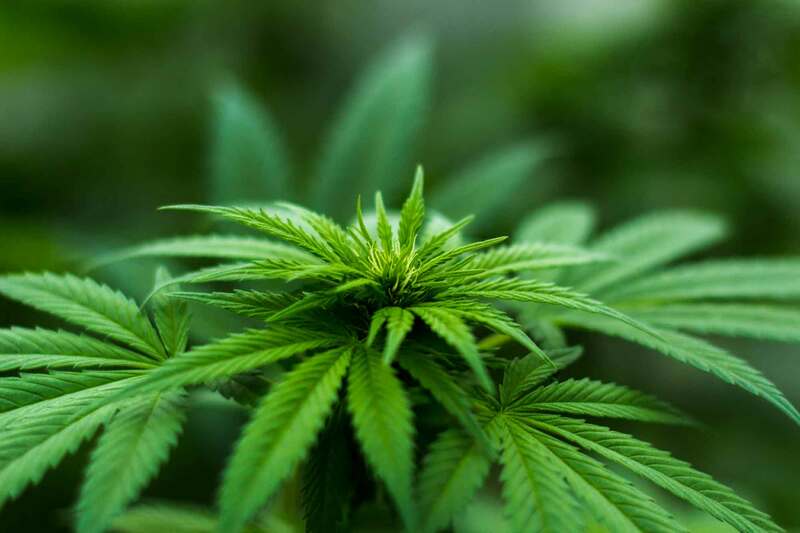 The proposal says the Wyoming Department of Revenue Liquor Division would regulate the marijuana industry "in a manner similar to the state's regulation of alcohol." The rules and regulations would have to be set up within two years of the passage of the initiative. Patients then could get medical marijuana certificates that would let them buy the drug from state-regulated dispensaries. The businesses would be subject to normal state and local taxes. But there would be no special taxes on marijuana. Christian said Wyoming NORML originally hoped to get an initiative on the ballot for 2016 that would seek to legalize both recreational and medical marijuana. But she said the group decided to just try for medical marijuana in 2016 and then lobby the Legislature to legalize recreational use by 2018. This decision was motivated, in part, by a statewide poll conducted last October by the University of Wyoming. It found 72 percent of Wyoming residents support medical marijuana while only 35 percent support personal use by adults. UW political science professor Jim King, co-director of the survey, said this shows there is a "good chance" the initiative could succeed. But he said it's far from certain. "We asked the same question in 2000 and 2014 and got almost identical percentages, so there is support out there," he said. "But responding to a poll and casting a ballot are two different things." King said the effort could be hampered if opponents successfully make the case that allowing medical marijuana will lead to the state opening up recreational sales. This is the argument Gov. Matt Mead used when asked if he would support medical marijuana during a gubernatorial debate last year. "You see recently even the governor of Colorado in terms of legalizing marijuana for recreational purposes said it's reckless," Mead said. "And where did (Colorado) start? They started with medical marijuana. So I'm against it." King said another challenge will just be getting enough signatures to get on the ballot. The state requires organizers to secure the signatures of 15 percent of those who voted in the 2014 election. That means 25,673 signatures are needed. But Wyoming NORML hopes to collect more than 51,000 since many will be rejected if they are duplicates or are not from registered voters. "The initiative process in Wyoming is among the most difficult across the 50 states," King said. "That's why in states like California you see more initiatives because it's an easier process." And even some supporters of changing Wyoming's drug laws are unsure of the initiative's chances. Rep. James Byrd, D-Cheyenne, sponsored a bill during this year's session that would have decriminalized the possession of small amounts of marijuana. That bill, along with a separate proposal that would have let doctors prescribe a type of low-potency medical marijuana, fell well short of passage. Byrd said he supports legalizing medical marijuana in Wyoming. But he doubts the state is willing. "It's a bit premature because people in Wyoming - people from most parts of the state - are not ready," he said. "They might be ready if we do it increments, like my (decriminalization bill), but I think it's premature." Byrd added he would rather see changes made through the legislative process since the Legislature is "slower, more methodical" and would be in a better position to work out the details. But he said the initiative process remains a valid option if residents are not satisfied with what the Legislature is doing or not doing. Christian, meanwhile, said she and other volunteers are ready to use social media and travel the state to campaign for the cause. "We need to overcome all that negative 'Reefer Madness' stuff from the past," she said. "We have to convince people that they are wrong and we are right, and that is difficult to do."